I remember Yahoo mail and messenger for letter 'Y', which were forgotten by many long back . No one might have thought those days that importance of yahoo messenger will reduce to this level. But, no one can deny the first best chat experience we faced around 15 years ago. 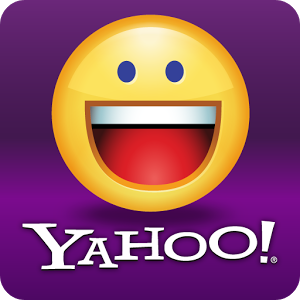 The basic Yahoo messenger version came into existence on March 9, 1998. I personally, support gmail and MS outlook over any other mail service as i believe it is more secure and reliable. I was never a fan of online chatting, but saw students go ga ga over yahoo chat spending many hours in browsing centers in past. Now, we have facebook, google talk, whatsapp and lot more which give best chat experience not only in laptops or desktops but also on mobiles. Everyone has a 3G connection on phone these days and it's not very exciting to chat online anymore. Even though life changed with more apps and gadgets for the better, Yahoo always stays in my mind as first best chat experience.